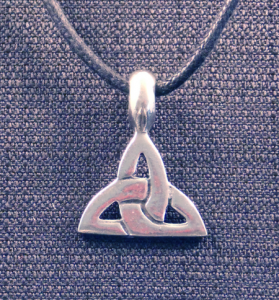 This Celtic Trinity Knot Necklace comes with an 20″ black cotton cord with lobster-claw clasp. $16.00 including free shipping within the US. 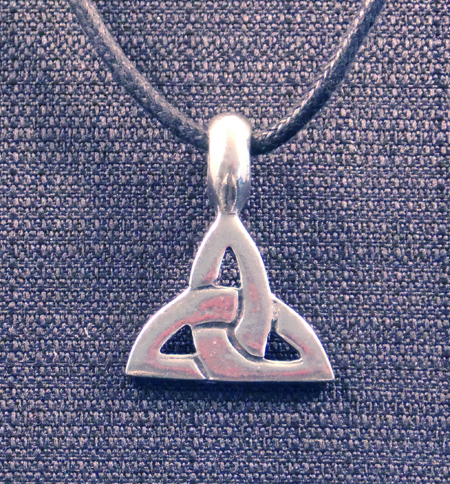 This lead-free pewter pendant is approximately 1 1/4″ tall, including bail, and is approximately 1″ wide.